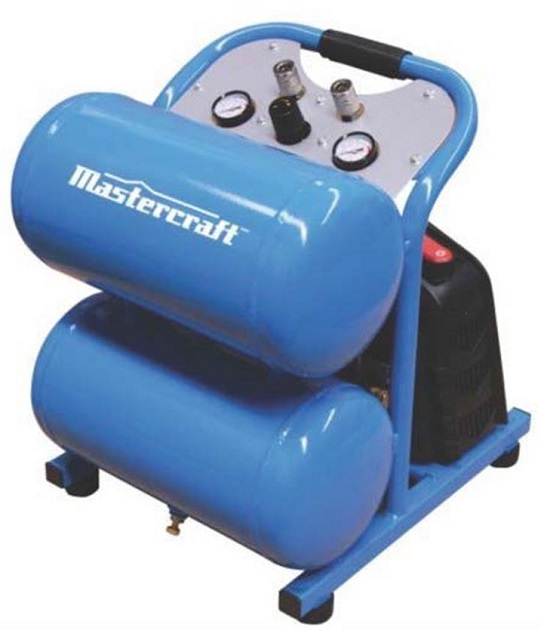 This recall involves the Mastercraft 5 Gallon Air Compressor 1.5-HP. 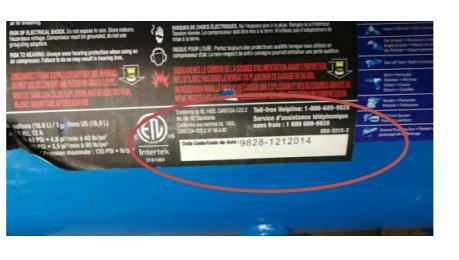 The Mastercraft branded compressor involved in the recall is identified by batch code 9828-1212014, UPC 871613006891, and model number 058-9315. The batch code number on each unit is located on the unit name plate on the tank. Regulator knob may break off under pressure and may lead to a component failure and cause injury to consumers. As of November 19, 2018, the company has received 6 reports of incidents in Canada with 1 injury. Approximately 3,000 units of the affected products were sold in Canada. In Canada, the affected products were sold from March 2014 to March 2015. Consumers should immediately stop using the compressors and return them to the place of purchase for a full refund. For more information, consumers may contact Canadian Tire Company by telephone at 1-800-387-8803.